Plants are the beauty of nature. They look very beautiful and gives us fresh oxygen. There are many types of the plants on the Earth including flowering plants and non-flowering plants. 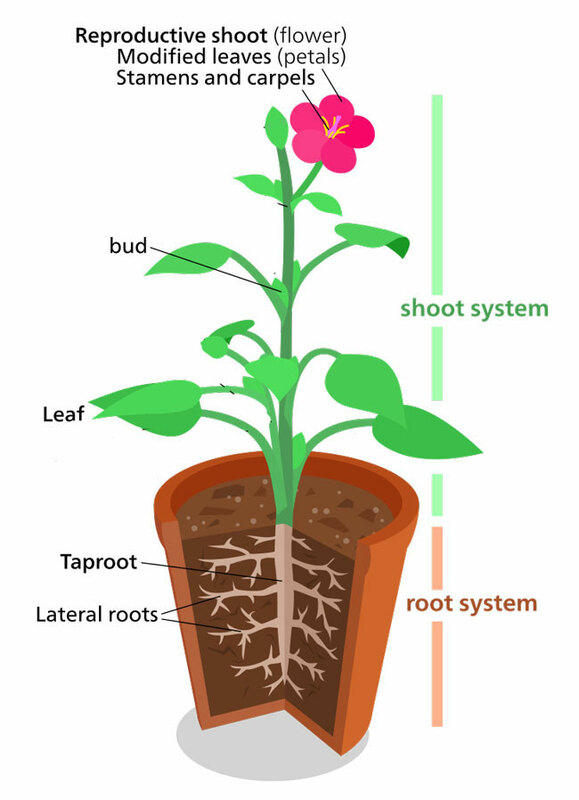 These plants differ in their structure, but the basic structures of these plants are similar. We will discuss the structures of the plants that are produced from the seeds. Absorbing the water and the necessary nutrients and sending them to different parts of the plant. It provides a good grip to the stem of a plant so that it can stand against the wind. Some plants store the food in their roots. Examples of these plants are carrots and potatoes. It provides support to the leaves, flowers, and fruits. It carries the water and nutrient absorbed by the roots to all parts of a plant. 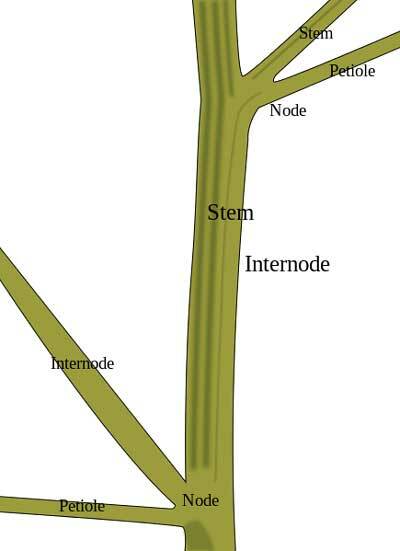 Stems also store food in many plants, like sugar cane. Buds look like a bump on the stem of a plant. 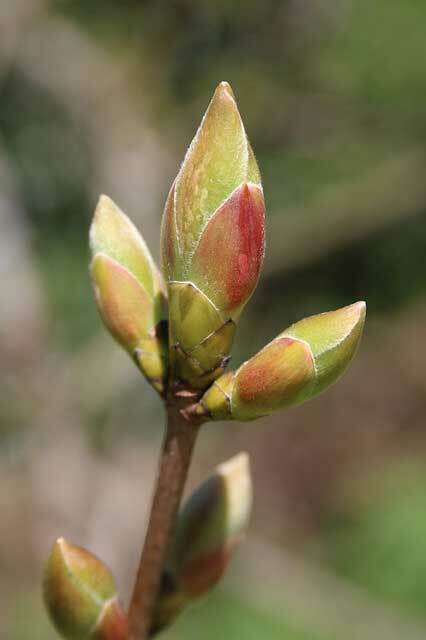 These are the developing shoots, which will become branches of the plant. 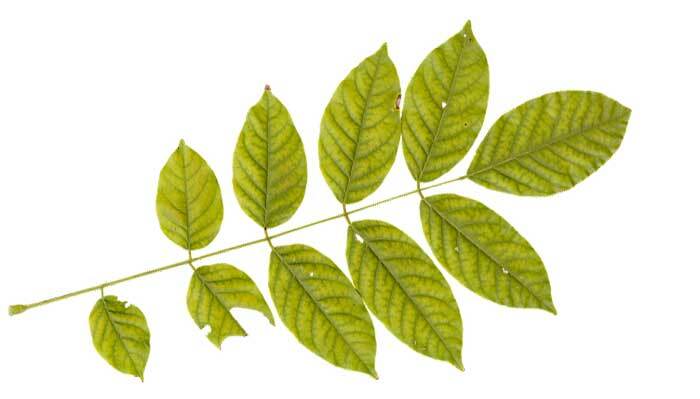 Leaves are the important part of the plants, which have green color (not all plants have green colored leaves). They produce the food for the whole plant by the process of photosynthesis. In photosynthesis, plants take the carbon dioxide from the air and light from the Sun to make food. Also, they produce oxygen for us to breathe. When the plants become mature, they produce flowers (only flowering plants produce flowers). Flowers have beautiful colors with attractive fragrance. 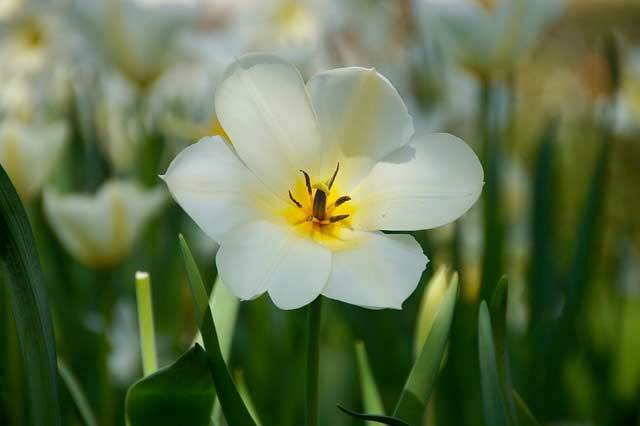 They play an important role in the reproduction of the flowering plants. They also make the seeds and the fruits of a plant. Fruits are the parts of plants that bear its seeds. The fruits are made when the female part of the flower are pollinated. 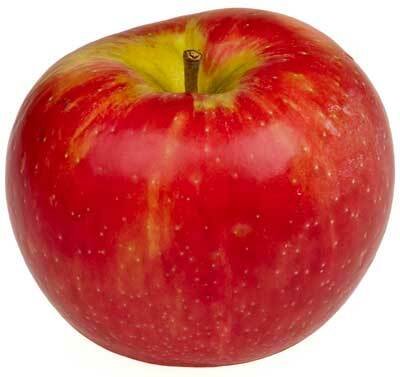 Making delicious fruits is the strategy used by plants to disperse it seeds to different locations. Because fruits are delicious, when animals are humans eat them they will through its seeds to land. Flowers have eye-catching colors and good smell to attract the insects and animals to carry their pollen. Humans use around 2000 different species of plant in their food. Some plants eat insects as their food. These plants are called carnivorous plants. Abdul Wahab, "Plant Structure," in Science4Fun, April 13, 2019, http://science4fun.info/plant-structure/.